Redneck Driving Wonderland — Auto Expert by John Cadogan - save thousands on your next new car! Meet the one place in Australia more dangerous to drive in than a third-world country: The Northern Territory. FACT: The Northern Territory is a road safety disgrace. 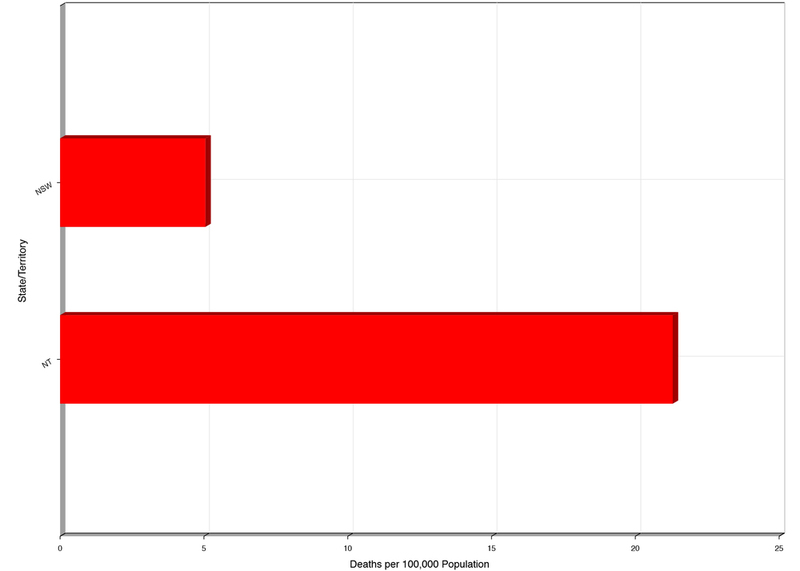 Per capita, you're more than four times as likely to die driving in the NT (Australia's least populated territory) than in NSW (Australia's most populated state). NSW Gov't data - Download official PDF report here. NT Gov't data - Download official PDF report here. A region characterised by lawlessness, or at least disregard for the law. Last time I looked, it was against the law to drive drunk and/or unrestrained. The NT is a region charaterised by a relatively high disregard for these important safety laws. Hence: the wild, wild west. What I would have preferred to say, and what would have been more accurate, though not as kind or diplomatic, was 'the NT is worse than plenty of third-world sh#%hole nations when measured objectively and robustly on road safety criteria, mainly because of the idiotic choices made by too many Territorians'. "One of your neighbours is likely to be Jethro or Cletus [with reference to banjo]..."
This was meant to imply: In the NT, you are statistically about four times more likely to share the road with an ignorant moron who puts not only his/her own life at risk, but also all others around him/her. (By making that choice to drive drunk and/or unrestrained, etc.) So I think those people got off pretty lightly as well. "The cops needing zealously to try harder..."
They do. Unless you're happy for the NT to enjoy a worse track record on road death than plenty of second and third-world nations. If you are a responsible NT driver and you were offended by what I said, or by what you thought I said, or by what you thought I meant, then please accept my apologies. I have no desire to offend you. What I meant is above. And if there was a misunderstanding in relation to that, then I hope this clarifies and is sufficient. I did not mean to cause you great offence. I have been to the NT more than a dozen times and always enjoyed its stark beauty. I've driven the full length of the Stuart Highway three times, and sections of it many times. However, if you're one of those jerks who's just not happy unless you're outraged over something inconsequential, then I'm certainly not sorry. In fact I'm glad I was able to facilitate what you were looking for (outrage). However, part two, and this is an important caveat, if you are a Territorian redneck hillbilly banjo-playing knucklehead scumbag goose who, perhaps because of inbreeding, toxic waste in the drinking water, or merely being born with an IQ below the room temperature in Darwin in degrees C, or all three of those factors in tragic confluence, thinks it's okay to drive drunk, unrestrained, or engage in any of the other textbook dangerous practises that place lives at risk (like unlicensed driving or unregistered vehicle, driving impaired or drug-affected, too fast, with too many people in the vehicle, or the vehicle is in an unsafe condition) - then I believe the evidence is incontrovertible that you are an embarrassment to the rest of our reasonably highly developed nation, and I meant everything I said about you, and more, which I was precluded from saying due to the constraints of time and broadcasting standards. Road trauma costs Australia more than $27 billion annually, along with untold personal suffering, and if you are a part of this problem because of the choices you make, then you are categorically a disgraceful waste of space, and I would prefer to see you taken out the back and dealt with, Kim Jong-un style, than have a puerile debate with you on social media. Is that clear enough, Jethro?